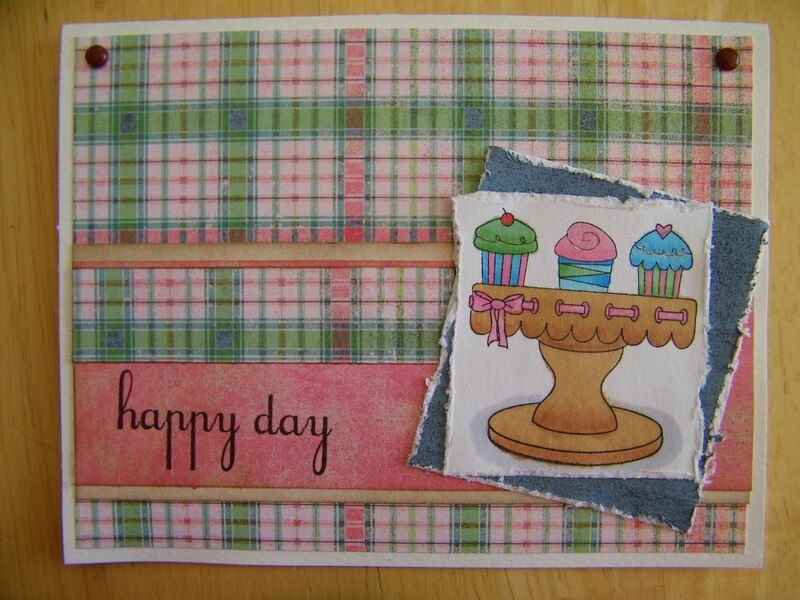 Made this card using one of my favorite stamps from Unity and some Two Scoops Paper from Basic Grey. Doesn't cupcakes and ice cream always go well together. 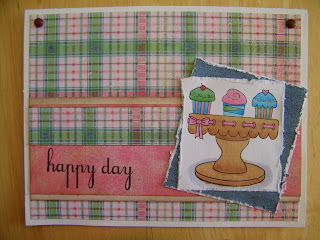 I did a little distressing on the cupcake paper and on the Blueberry Custard paper using my new tool from Tim Holtz. I colored my cupcakes with Copic markers G12, G14, B00, B02, R81, R83, E31, E33, C1. Oh, how I love my Copics. That's adorable. You do a really good job with the markers. I'm a new follower. I am glad you are enjoying my blog and thank you for such a sweet compliment. "Give Me Your Candy or Else!!!! !